Looking to see how other couples are managing their money? Rod Griffin from Experian comes on to give his insights on the latest findings on financial habits and attitudes! It’s time for a Money Monday Q&A where we dig in with a financial expert to get some insights on improving finances as a couple. Today Rod Griffin, the Director of Public Education from Experian, is sharing his thoughts and a bit of his own experience with marriage and finances. 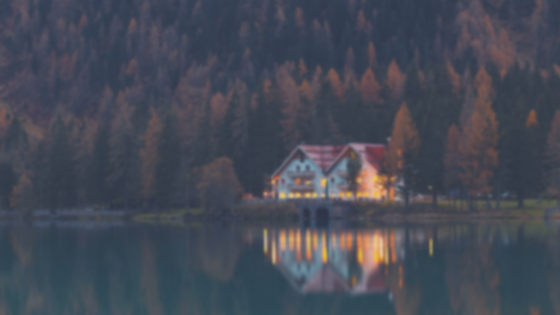 You may be aware of Experian in regards to credit reports and FICO scores, but they also have made a huge commitment to promoting financial literacy. They have chats on twitter every Wednesday on different money topics and a periscope Q&A on credit reports every day at 1:30pmCT. 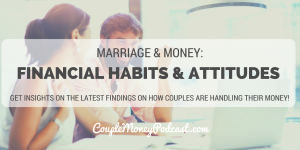 Rod and I are going over some results from a recent survey about financial attitudes and habits. 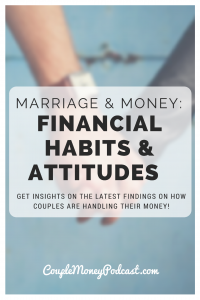 We’re specifically looking at how couples are talking about and working on their money. I’m always curious to see how spouses handle their money.